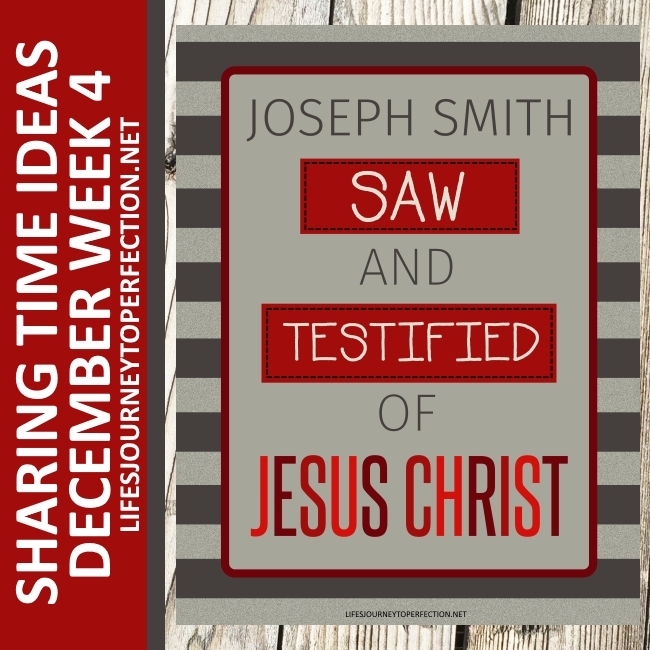 Life's Journey To Perfection: 2017 Sharing Time Ideas for December Week 4: Joseph Smith saw and testified of Jesus Christ. 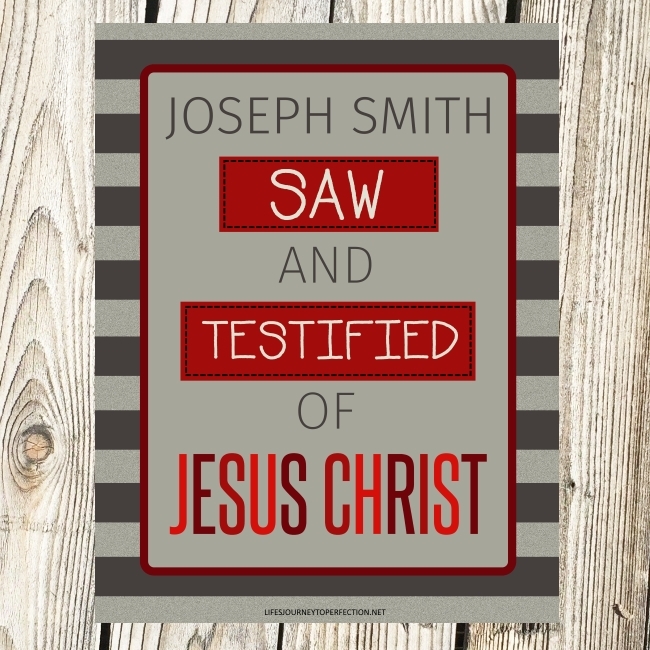 December Week 4 Topic: Joseph Smith saw and testified of Jesus Christ. Clue #5... This person when 14 years old knelt in prayer to ask Heavenly Father which church he should join. Clue #7... This person helped restore The Church of Jesus Christ of Latter-day Saints to the earth. After the Primary children have guessed who it is, invite a primary child to come and open the gift bag and pull out the picture of Joseph Smith. Show the primary children the week's theme poster and invite them to repeat, "Joseph Smith saw and testified of Jesus Christ. " "Ask of God: Joseph Smith's First Vision"
and "Testimony of Joseph Smith"
If you do not have access to play these movies, you have have the primary children help tell the story of the first vision using pictures from the Gospel Library, ending with Joseph Smith's testimony of the Savior found in D&C 76:22-24. Have 4 presents hidden around the room, in them have a Book of Mormon, A picture fist vision, A picture of the priesthood being used, a picture of someone in prayer. Explain that in these boxes are precious gifts we have been given through Joseph helping to restore the church to the earth. With these three gifts we are able to gain a greater testimony of our Savior Jesus Christ. 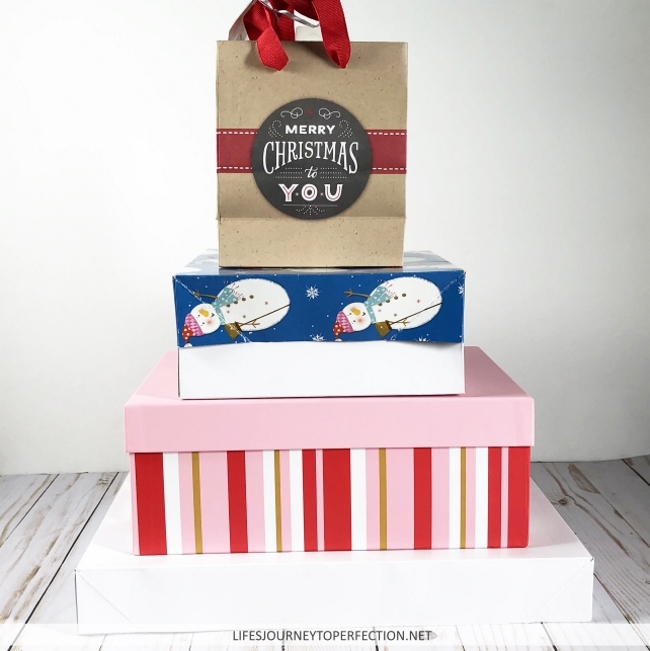 Invite a primary child to open one of the presents. Then discuss what is inside and how it can help us gain a greater testimony of the Savior. Continue with each box. Close with your testimony of the prophet Joseph Smith. 2017 Sharing Time Ideas for December Week 1: Heavenly Father sent His Son to earth. I've looked other help online, but this is by far my favorite one! I just love how you stay close to the sharing time instruction from church and yet make it interesting and understandable to the kids. Just love the feeling of the spirit every time I use your ideas to do sharing time. 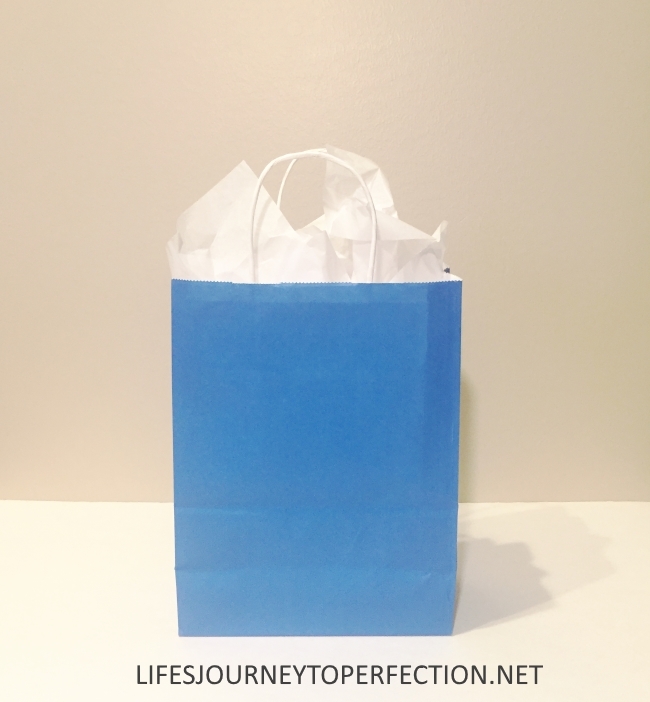 This lesson is put together so well, yet again! Thank you so much and happy new year! Looking forward to 2018 sharing time ideas, too!!! Well I participated in a similar type of event where people shared their ideas. It was really good to hear the unique and brilliant sharing ideas. Merry Christmas to you and happy new year as well.